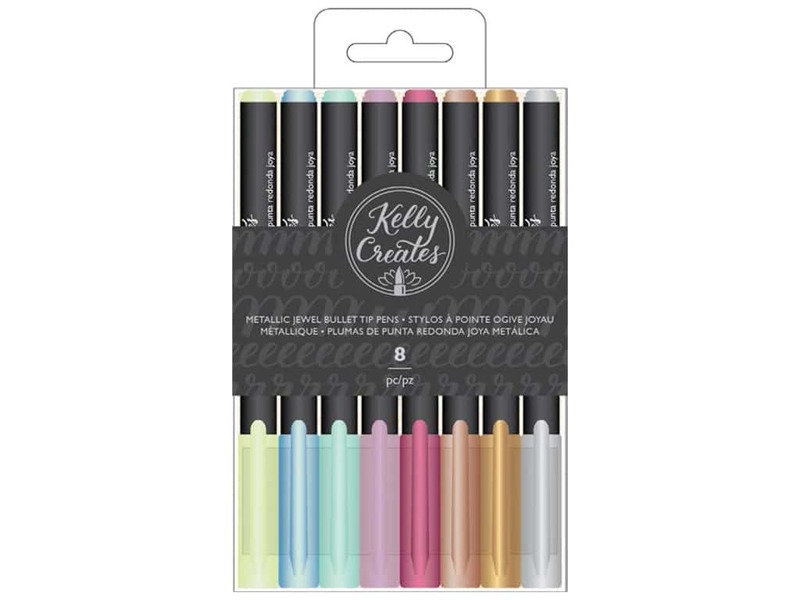 Description: American Crafts Collection Kelly Creates Bullet Tip Pen Jewel 8 pc- Contains eight metallic bullet tip pens. Shines on both black and white paper. Jewel tone colors are silver, emerald, sapphire, jade, amethyst, ruby, bronze, and gold. Acid free.